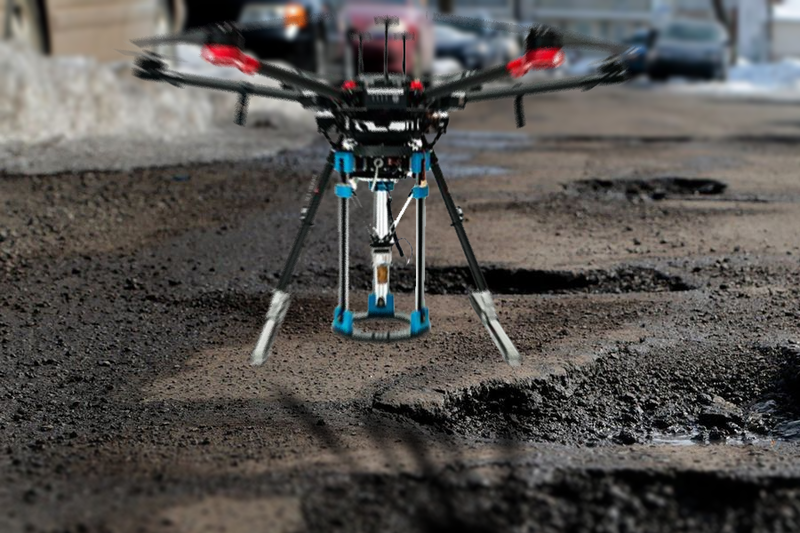 How Leeds could become world’s first city to use drones to prevent potholes. 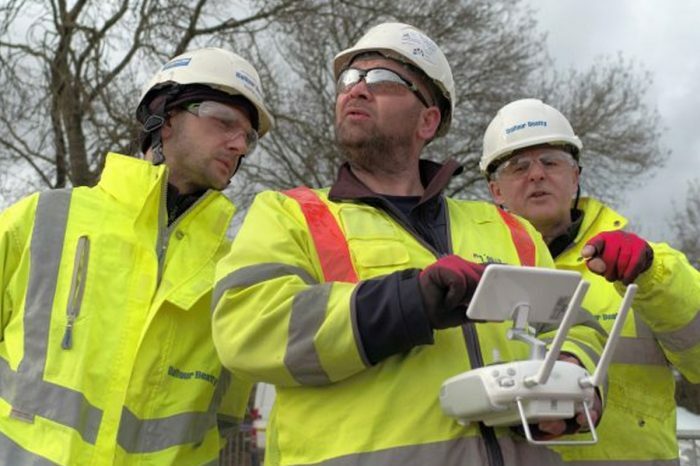 Engineers working on a multi-million pound project to turn Leeds into the world’s first “self-repairing city” have developed drones with the potential to prevent potholes. A team from the University of Leeds’s School of Mechanical Engineering working alongside other university researchers are three years into a five-year project with has the aim of developing robots and drones that would result in there being no disruption from streetworks in British cities by 2050. The scheme, which is supported by Leeds Council, aims “to make Leeds the first city in the world that is fully maintained autonomously by 2035”. More than 10,000 potholes were reported in Leeds between 2014 and 2017. 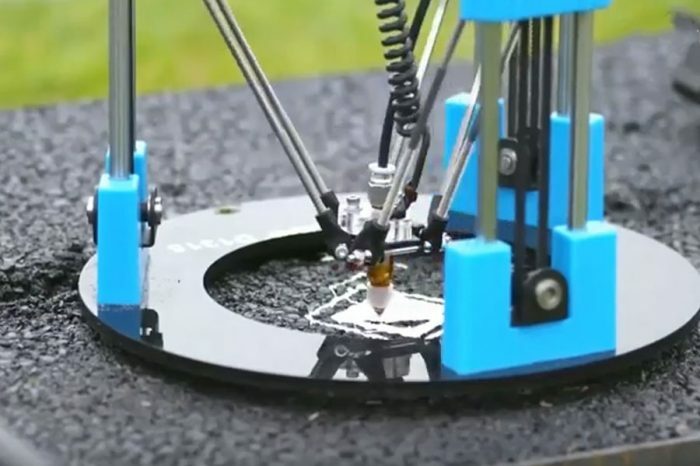 One of the key achievements of the project so far has been work with University College London to develop “world-first” 3D asphalt printing technology that can be flown by drone to problem locations and used to fill holes. 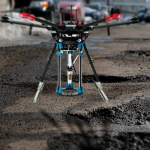 It is intended that drones will eventually be deployed to scan roads and identify and fix small cracks around the size of a 50p piece to prevent larger potholes ever developing. 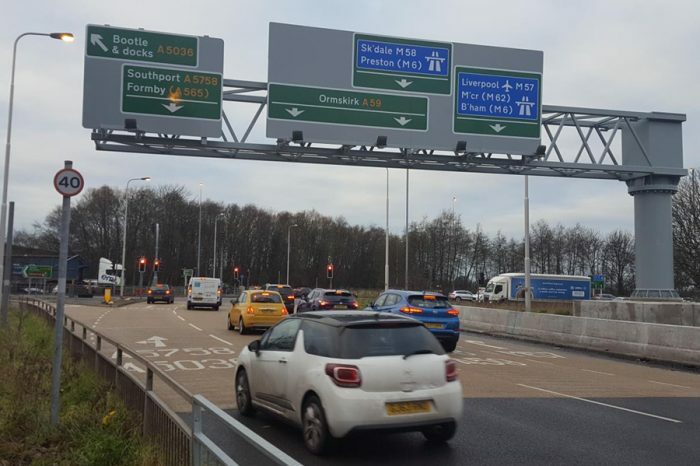 Professor Rob Richardson, operational director for the robotics element of the project, said: “Right now, if you have got a bad pothole, you need people, big vehicles and disruption through closing the road and causing pollution to get rid of it,” he explains. “We want to change that and repair things before they become potholes. “If there are not prompt repairs, roads gets further damaged. 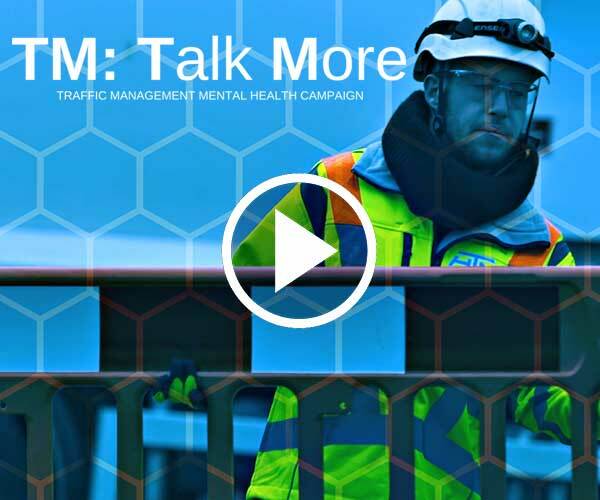 If you have to close roads for long periods of time, congestion and pollution builds up. There are wider costs far more than a worker’s hourly rate. The five-year project started back in January 2016 after £4.2m of funding was secured from the Engineering and Physical Sciences Research Council. 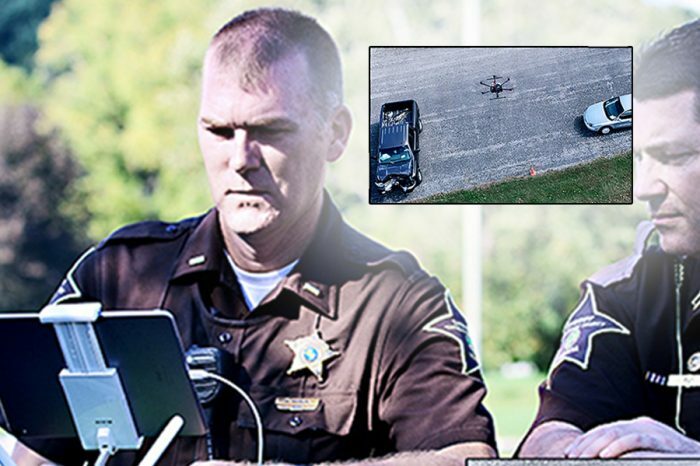 VIDEO | Could potholes be repaired by asphalt-printing drones?